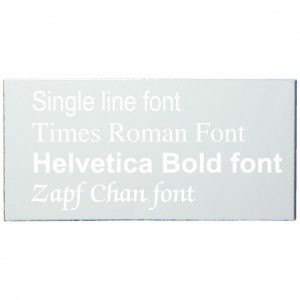 Buy today from our large selection of engraving plates. 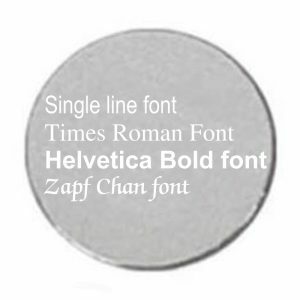 Ideal for etching your message to your requirements. 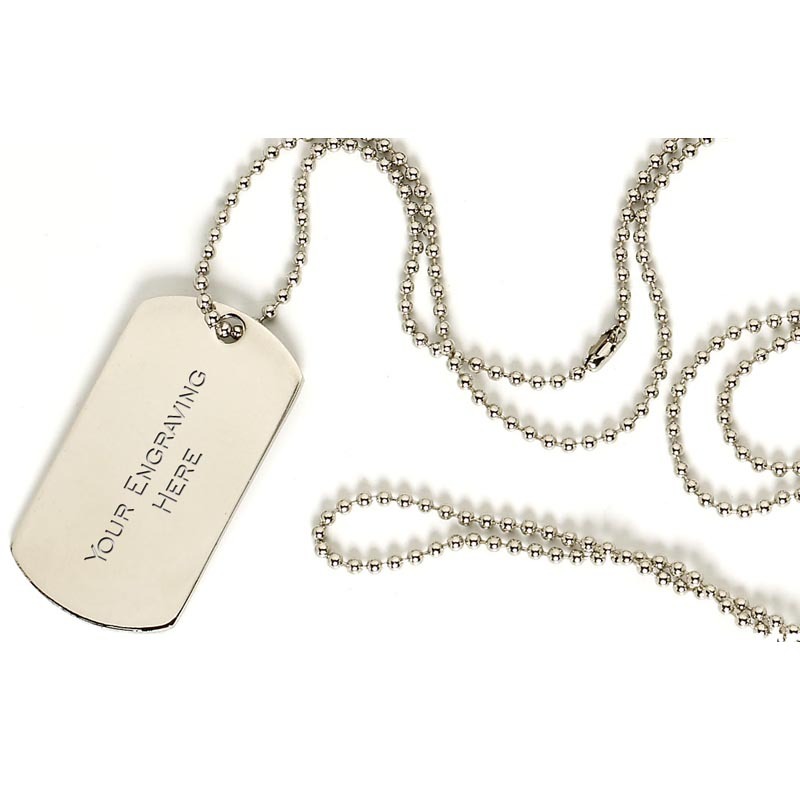 Great for personalising birthday present or a memorial Awards with a little message. 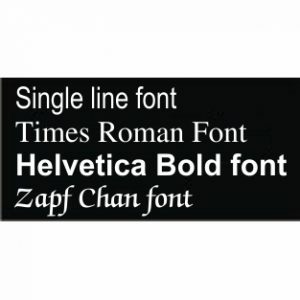 Above all there is no limit to the amount of words required. 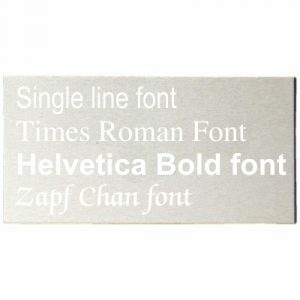 However the more wording the smaller the size of the letter. 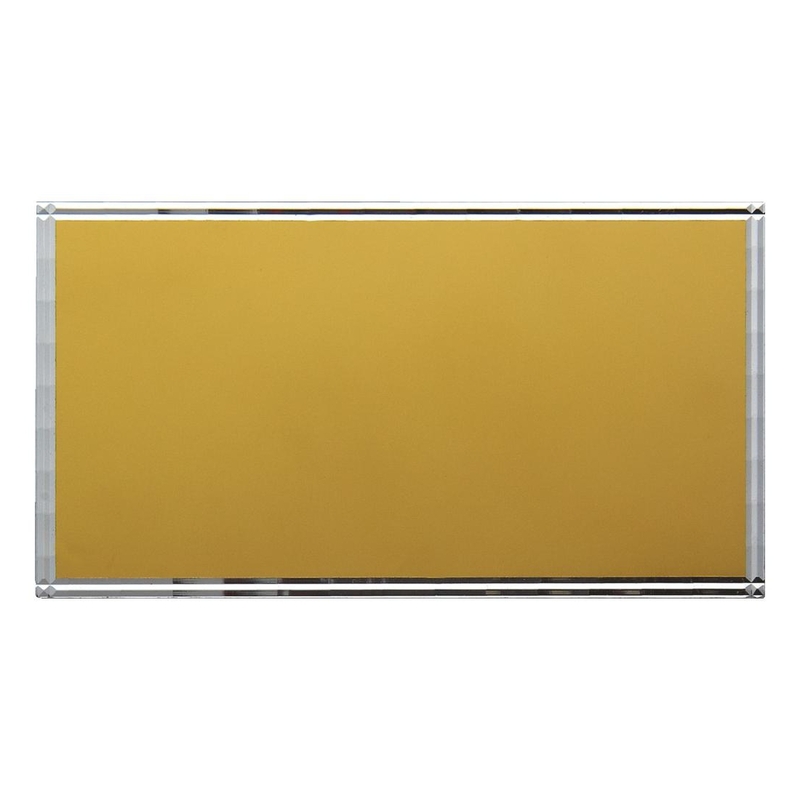 All the engraving plates are made from aluminium as a base metal the have a different coloured coating. 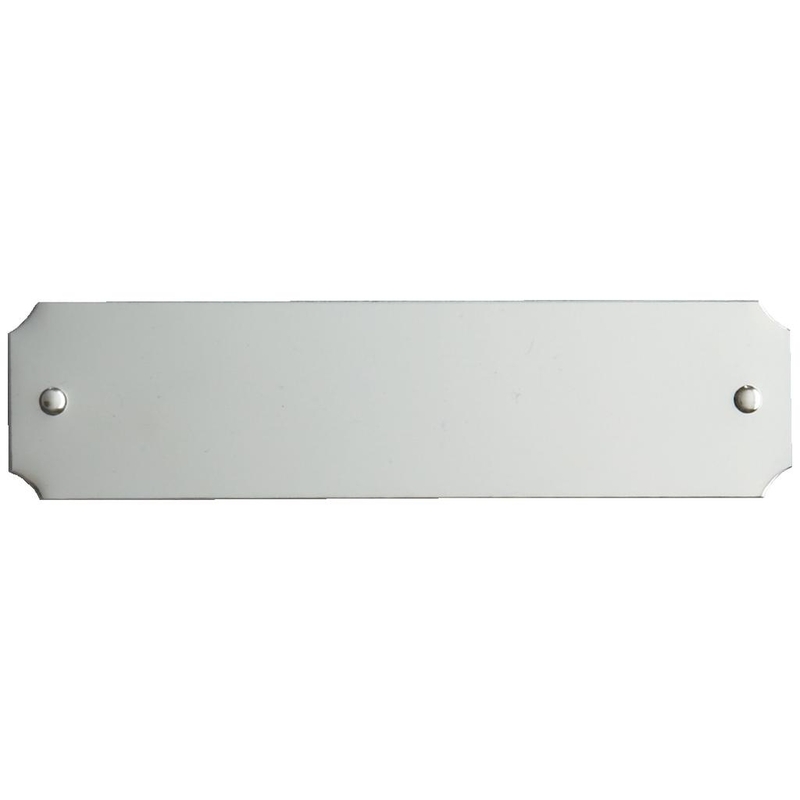 The plates are sold as blank with an option to add the engraving for an additional cost. 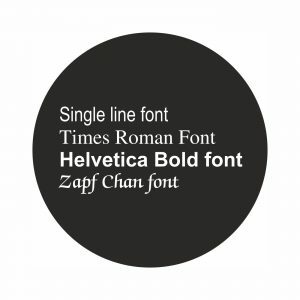 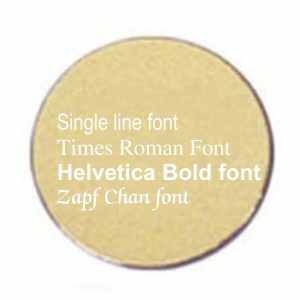 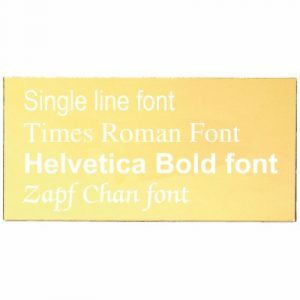 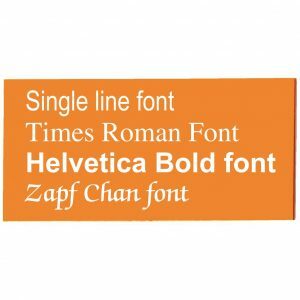 An added option of engraving fonts available – Time New Roman style engraving font is classed as the industry standard. 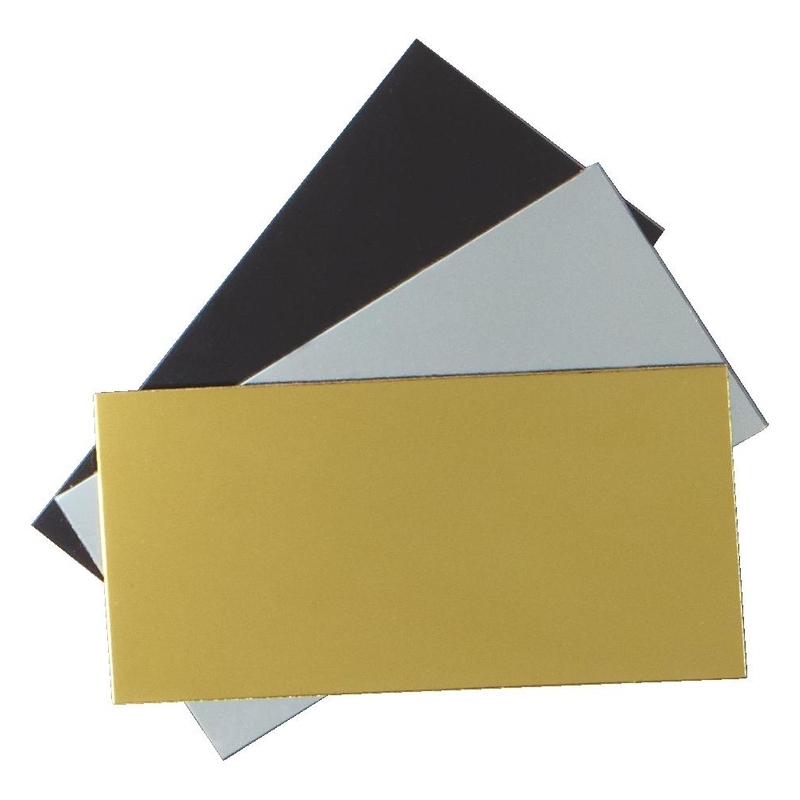 Engraving Plates in gilt, chrome, black or bronze coated colours. 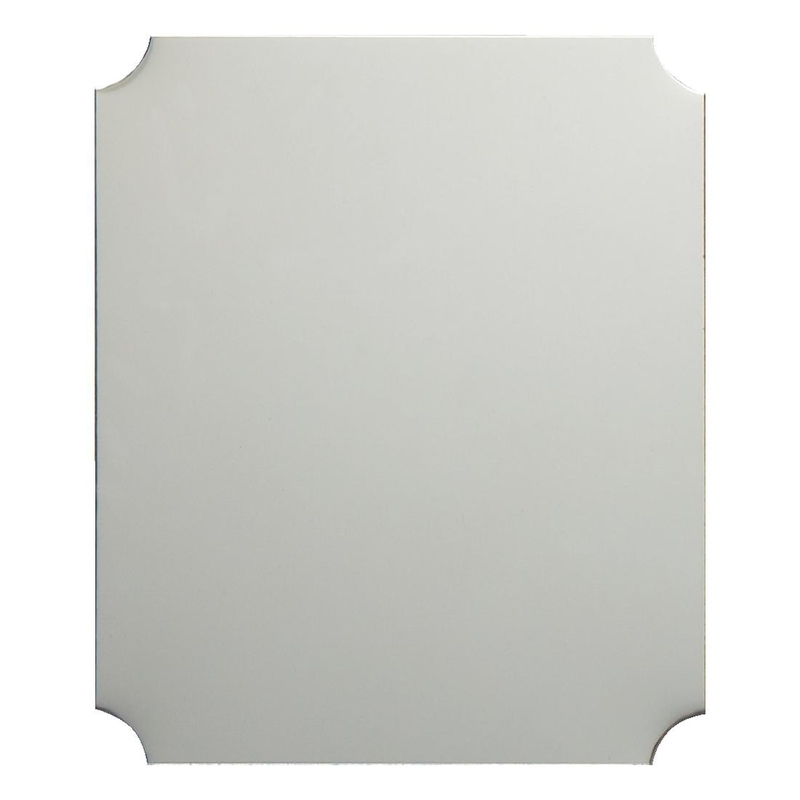 Available in plain rectangular or cut corner, scalloped edge style. Supplied complete with an easy peel self adhesive backing. 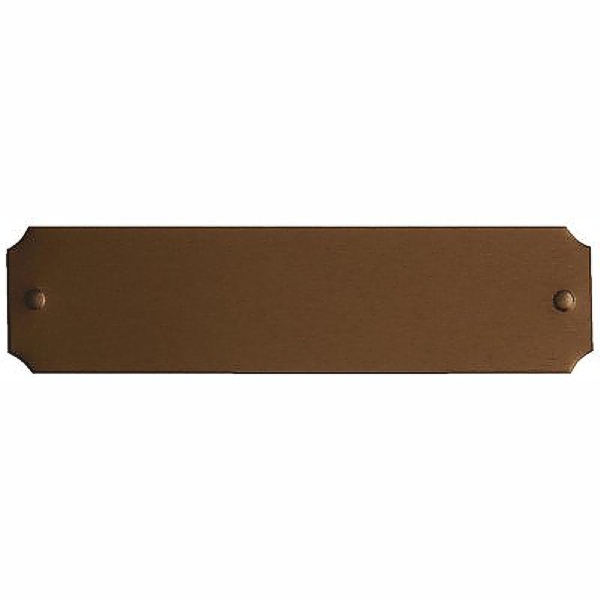 If you require an engraving plate which is not shown here please feel free to call one us. 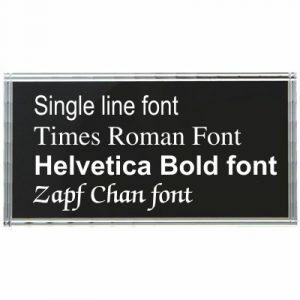 We will be able to help you with a special cut engraved plate. 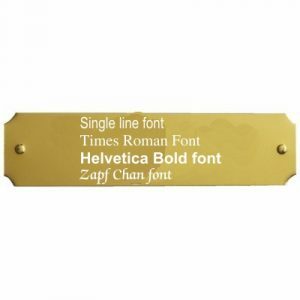 In conclusion, we sell quality, well price engraving plates etched to your requirements.